NY Times Best-Selling Author Dave Kerpen once took a job as a ballpark vendor selling Crunch 'n Munch. His first night on the job he sold 12 boxes. He made the legal minimum, $15. The very next night he sold 36 boxes, tripling his production. So what was the difference? Should you give yourself a promotion? Maybe being a “software salesperson” is not giving you the satisfaction you’d like. If so, you don’t have to be in software sales. Why not promote yourself to company liberator? Make it your sales strategy to free companies and the employees within those companies from inefficient processes that waste time, cost money and decrease employee morale. And because of you and your efforts, the companies that work with you will be better off than they were without you. And here’s the best part: you’re the only one who needs to know about your promotion. Tomorrow, your boss and your colleagues will see you as the same person. But if you truly change your attitude and your motivations with your new role, they’ll see a major difference in your results over time and then you can tell them the story of how you pulled a social selling 180. How can you enjoy your job and stand out to your prospects at the same time? Kerpen signed every box of Crunch 'n Munch with a Sharpie and became known for it. Everybody wanted to get Crunch 'N Munch from the dancing, yelling guy who autographed the box. He was even featured in The Boston Herald, The Boston Globe and Boston Magazine. He was signing and selling over 250 boxes per game and making over $400 per night, which to this day is darn good pay for a college kid. 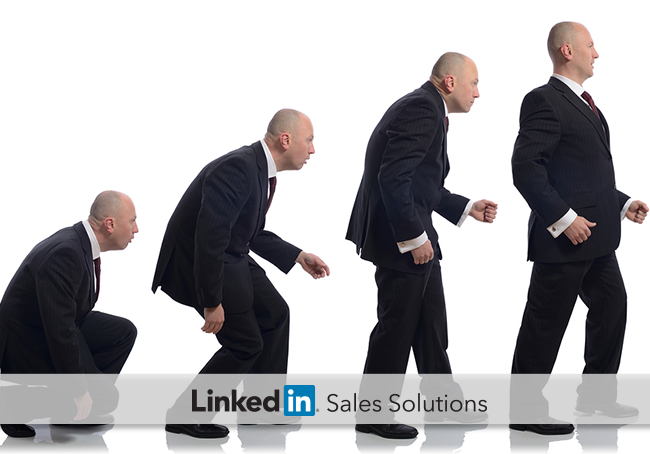 According to Gallup, happy sales people produce 37% greater sales. You’ve heard that life is what you make it. Well sales careers work the same way. It’s up to you to make your job fun. And once you find joy in your work, people will notice. It may not happen as fast as it did for Dave Kerpen, but if you stick with it, and believe in what you’re doing, the results will follow. Referrals will increase, testimonials will become more powerful and your reputation as someone who buyers love to work with will gain a momentum that’s nearly unstoppable. So go ahead, give yourself that promotion. Let it show in everything you do, on and offline. Let it show in the way you communicate, in the way your curate and share content, in the way you create content for your ideal customers. Take it upon yourself to become the go-to resource for all the buyers in your industry. Even if you don’t achieve celebrity status, you’ll have a lot more fun, and will have a much more fulfilling career than by changing nothing at all. Have fun. Sell more. Bring out the best in yourself and everyone you interact with each day. And congrats on that promotion!